Delegates of the Connecticut State Council of Machinists, representing more than 10,000 active and retired Connecticut workers, voted unanimously to endorse Gov. 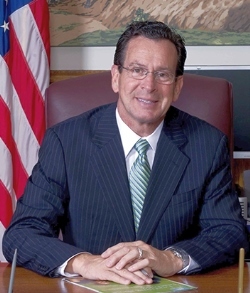 Dannel Malloy and Lt. Gov. 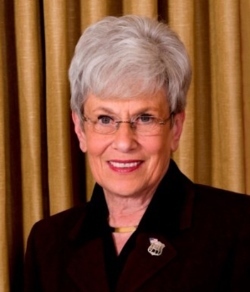 Nancy Wyman for re-election as leaders of Connecticut’s state government. The delegates, elected by co-workers from industrial sites around the state, including Pratt & Whitney, Hamilton Sundstrand, Electric Boat, Stanley Works and other IAM-represented workplaces around the state, heard from Lieutenant Governor Nancy Wyman on Saturday. Lt. Gov. Wyman stressed her and Gov. Malloy’s commitment to sustaining and expanding manufacturing jobs in the state. She cited the state’s Step-Up program, the new Innovative Manufacturing Fund, and successes like the re-opening of the Warren Corp.’s Stafford textile mill as examples of the commitment the Malloy Administration has to manufacturing.